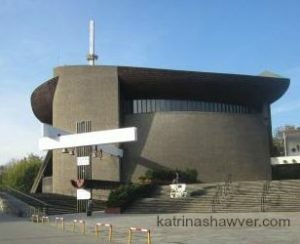 The Lord’s Ark church of Nowa Huta, a city outside Krakow, Poland, stands as a testament of faith over non-belief, and the power of a man, and people of faith, to quietly stand up to communism. This Catholic church stands in the middle of a once idealized, atheist community. The powerful symbolism connected with this church, remains connected to the Christian Lenten journey to Easter – a journey towards the light. 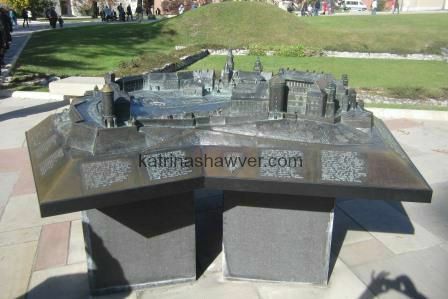 Cast metal displays in historic Krakow for the vision impaired represent miniature versions of major sights. 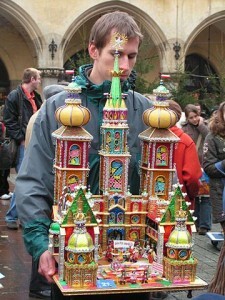 I find this secondary art form in Krakow fascinating, in that even a seeing person can grasp a detailed bird’s eye view of these sights. They have signage in Braille, as well as other languages. 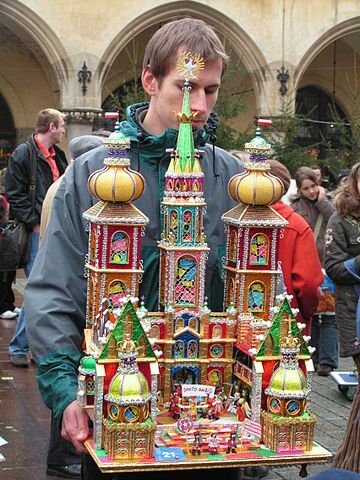 Somewhere on each display is a small brass peg representing the height of a human, so that a vision-impaired person might perceive the actual size and shape of these buildings.